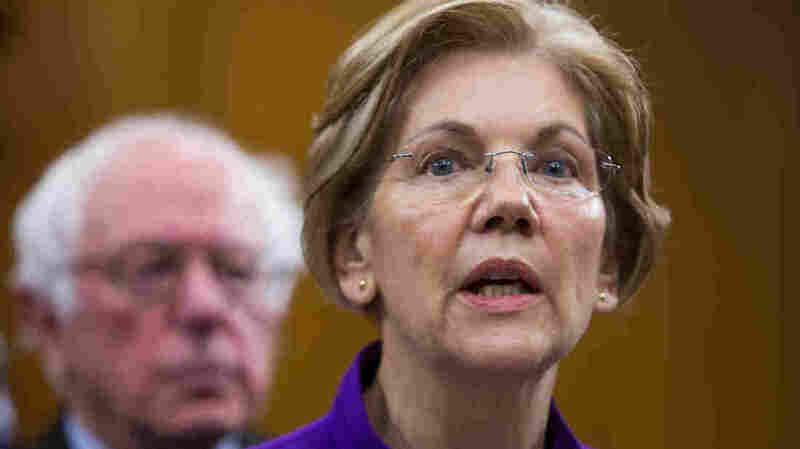 In a rather unusual campaign move, Sen. Elizabeth Warren has released the results of a DNA test that she says provides "strong evidence" of Native American ancestry dating back six to 10 generations, addressing a controversy that has followed her for years. 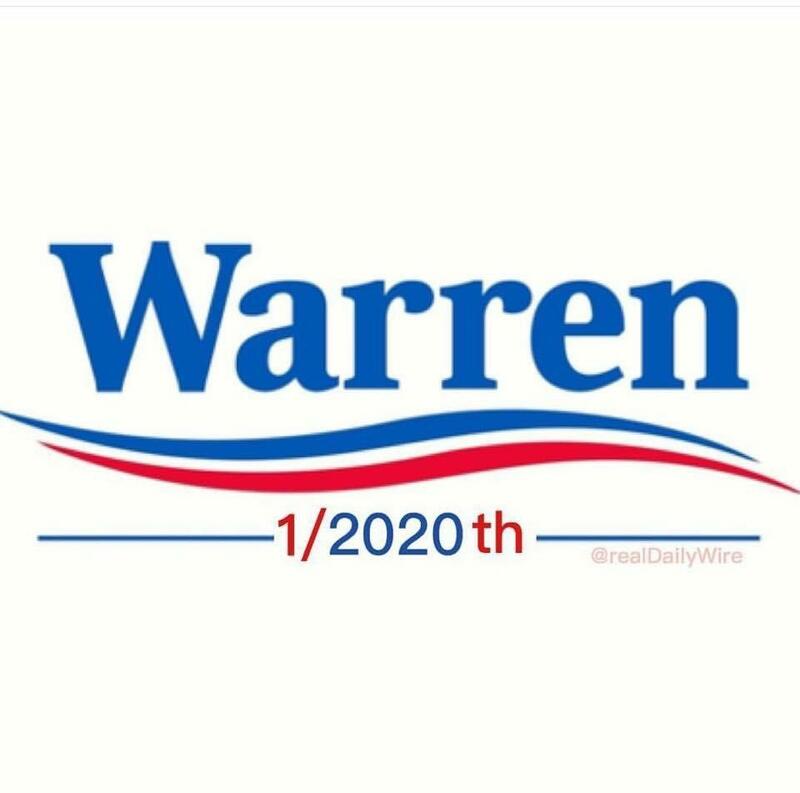 Pocahontas is at best 1/32 to 1/512th(no earlier than 6-10 generations back, That's 200-300years ago at best) Indian blood but there still is no guaranty she has Indian blood. 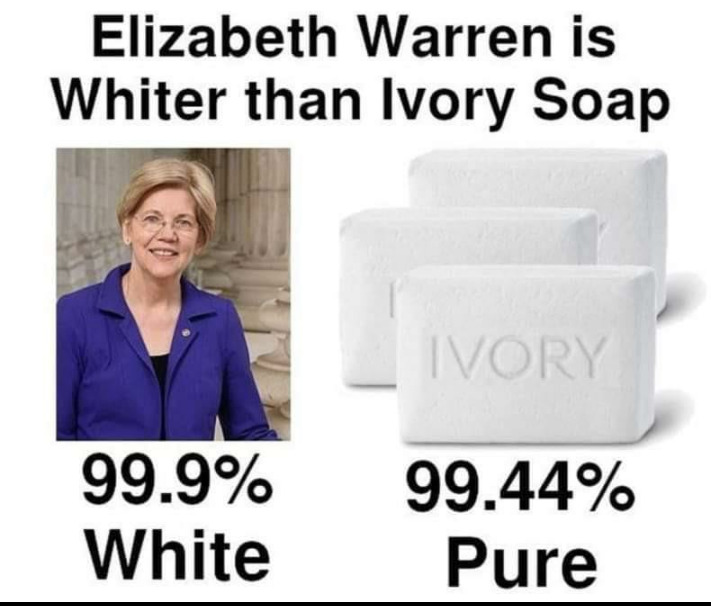 Shouldn't that be 1/64 to 1/1024? Yes. See the new article. Like always the left always error on their side. Apparently this time by 50%. Then again the far left have always had problems with numbers!! If you can get over the raunchiness of South Park they can be pretty funny. "A DNA test is useless to determine tribal citizenship. Current DNA tests do not even distinguish whether a person's ancestors were indigenous to North or South America. Sovereign tribal nations set their own legal requirements for citizenship, and while DNA tests can be used to determine lineage, such as paternity to an individual, it is not evidence for tribal affiliation. Using a DNA test to lay claim to any connection to the Cherokee Nation or any tribal nation, even vaguely, is inappropriate and wrong. It makes a mockery out of DNA tests and its legitimate uses while also dishonoring legitimate tribal governments and their citizens, whose ancestors are well documented and whose heritage is prove[n]. Senator Warren is undermining tribal interests with her continued claims of tribal heritage." Where is the section on high cheekbones? Sec. 49-1. - Authority of chapter. This chapter is enacted pursuant to the authority of the Tribe to establish and regulate membership and enrollment under its sovereign powers as a federally recognized Indian Tribe as well as existing federal statutory law and regulatory authority contained in Title 25 C.F.R. part 75.1-75, 1994, Revision of the Membership Roll of the Eastern Band of Cherokee Indians, North Carolina. This chapter governs future membership, loss of membership, and adoption of members into the Eastern Band of Cherokee Indians. (d) Proof of lineage. The burden of proof is on the applicant. The application for membership must be accompanied by: a county or state certified birth certificate issued by the appropriate governmental entity where the birth occurred, and the certified results of a DNA test establishing the probability of paternity or maternity of the applicant from a lab acceptable to the Enrollment Committee and establishing the biological connection to any relative claimed in the lineage of the applicant when there has been a generational gap in enrollment status for a direct lineal descendant of the applicant. (A) For testing paternity and maternity the testing must occur directly between the applicant and the alleged mother and father. For testing biological connection to a direct lineal ancestor when a generational gap in enrollment status is present in the enrollment records, testing must occur directly between the applicant and a relative from any source that will provide a sufficient probability of relatedness to the direct lineal ancestor for whom a gap in enrollment status is identified in the record. (B) When a parent of an applicant is unavailable for DNA testing the Enrollment Committee may accept the certified results of a DNA test between the applicant and both of the missing parent's biological parents (applicant's grandparents) or other relatives to establish the sufficient probability of lineage. (3) The parent(s) is deceased, as evidenced by a certified death certificate. (C) A certified copy of the test results must be submitted by the testing lab directly to the Enrollment Office. (D) The applicant is responsible for all fees related to the DNA test. (E) DNA testing required for all applicants, including adoptees. Carlos D. Bustamante, a Stanford University professor, used samples from Mexico, Peru, and Colombia to attempt to calculate how much Native American ancestry is in Warrens DNA. To make up for the dearth of Native American DNA, Bustamante used samples from Mexico, Peru, and Colombia to stand in for Native American. Thats because scientists believe that the groups Americans refer to as Native American came to this land via the Bering Strait about 12,000 years ago and settled in whats now America but also migrated further south, the Boston Globe explained. According to the American Indian and Alaska Native Genetics Resource Center, no DNA test can prove that someone is American Indian because there are no unique genes for American Indian ancestry. Lindsey Graham thinks that he's a real Native American Indian. Chief Lindsey Graham 2020? The first Native American president. 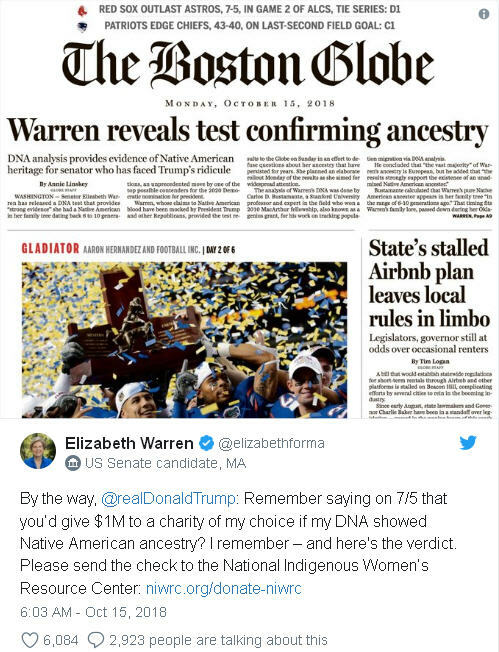 The full quote of what Trump said was, "I will give you a million dollars, to your favorite charity, paid for by Trump, if you take the test and it shows youre an Indian." 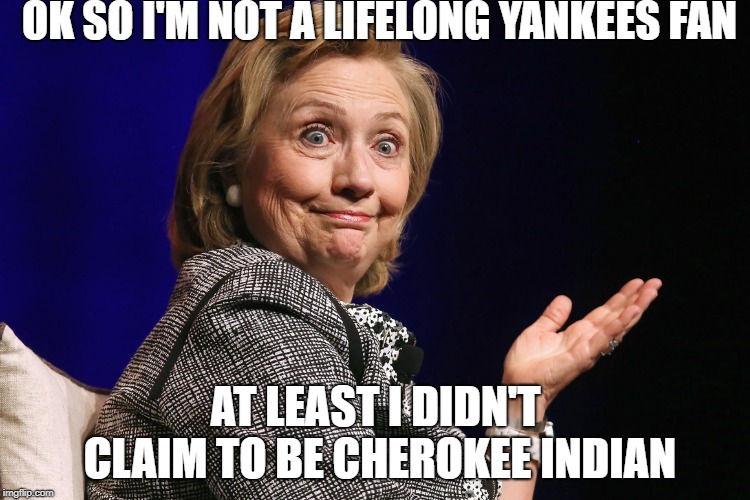 She's no more Indian than I am. 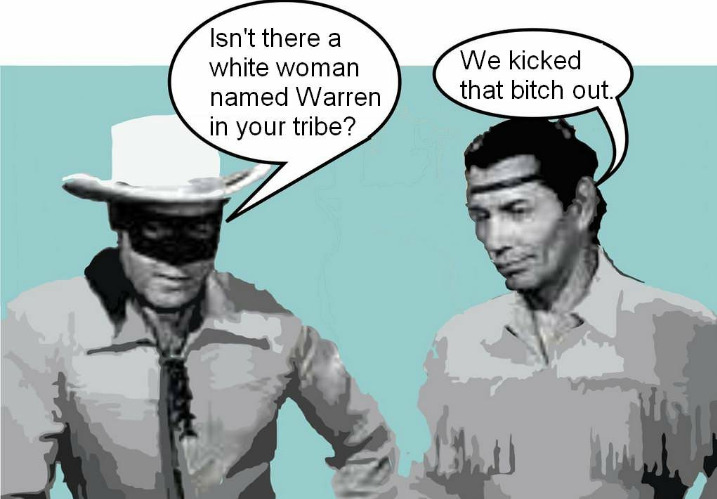 Elizabeth Warren, woman of color, Cherokee name Gray Beaver. 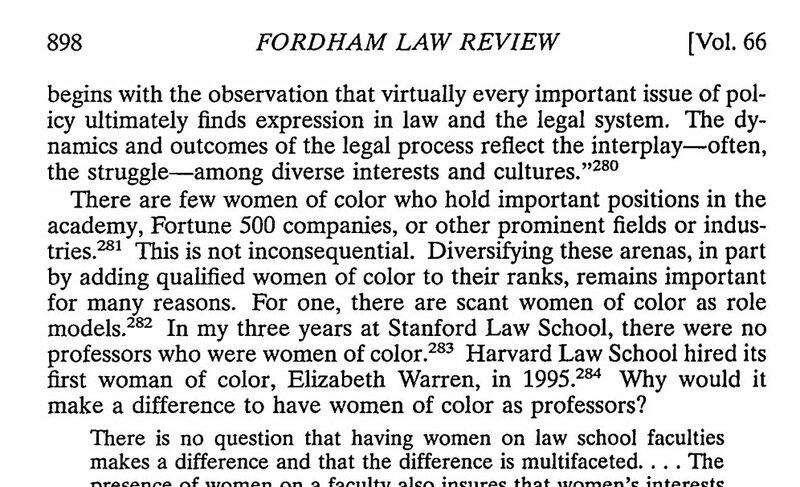 Lindsey Graham is a woman of color too, see post #17. 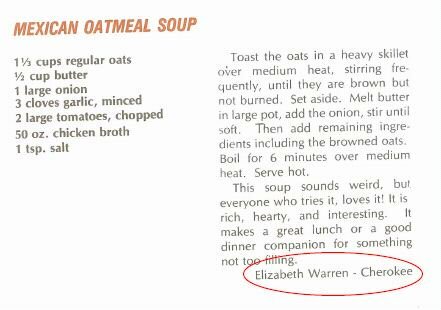 Cherokee recipe, Cherokee recipe, get your authentic Cherokee recipe here!! !